Whitney Rupp for Shaw Media Jack Lawrence competes in the 113th international Winter Tournament in Fox River Grove Sunday, Jan. 28. 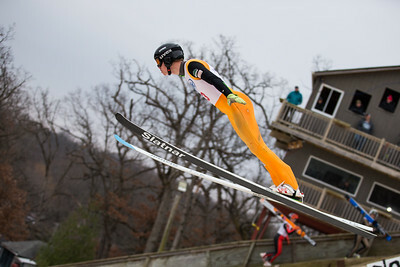 Whitney Rupp for Shaw Media Erik Belshaw soars during the International Winter Tournament at Norge Ski Club in Fox River Grove Sunday, Jan. 28. 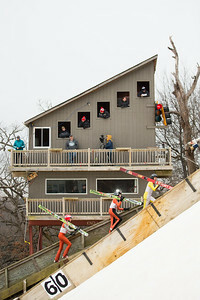 Whitney Rupp for Shaw Media Maureen Bickner waves to the crowd at the opening of competition during the International Winter Tournament Sunday, Jan. 28. 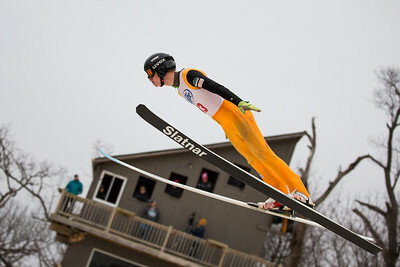 Bickner’s son, Kevin, will represent the United States in the upcoming 2018 Winter Olympics in South Korea. 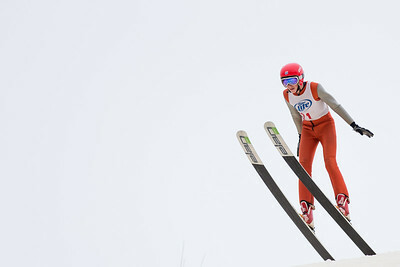 Whitney Rupp for Shaw Media Ski jumpers climb the hill at the Norge Ski Club International Winter Tournament in Fox River Grove Sunday, Jan. 28. 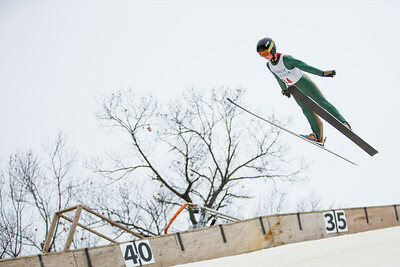 Whitney Rupp for Shaw Media Hunter Gibson of the Norge Ski Club competes in the 113th international Winter Tournament in Fox River Grove Sunday, Jan. 28. 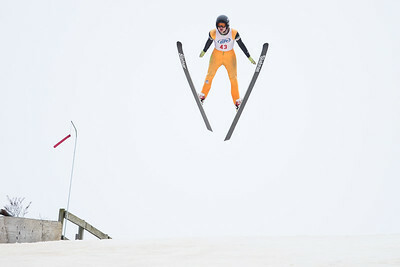 Whitney Rupp for Shaw Media Dean Decker of the Steamboat Springs Winter Sports Club competes in the 113th International Winter Tournament in Fox River Grove Sunday, Jan. 28. 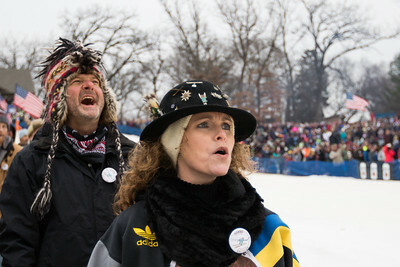 Whitney Rupp for Shaw Media Don, left, and Kim Raciborski cheer for a ski jumper competing in the International Winter Tournament at Norge Ski Club in Fox River Grove Sunday, Jan. 28. 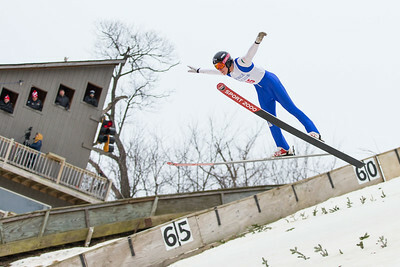 Kim Raciborski has attended the event annually for around 40 years. 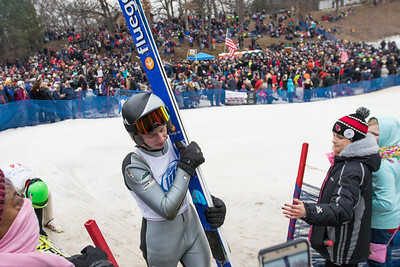 Whitney Rupp for Shaw Media Landon Lee walks off of the landing hill after finishing a jump at the 113th International Winter Tournament hosted by the Norge Ski Club in Fox River Grove Sunday, Jan. 28.